Technology is becoming an exclusive part of every business that associates itself with marketing. Without a robust technological infrastructure in place, organizations ultimately face a decline in their business growth. While organizations do have the capability to launch enterprise projects and put them in an enterprise-grade IT infrastructure, there are several essentials that they miss due to a lack of funding. The modern era has gifted the corporate world with the opportunity to work with a minimal number of tools; all thanks to cloud computing. With cloud computing, future organizations will not have to invest their time and budget in computing devices, routers, storage, networks and more. Instead, they can leverage the power of virtualization and designate their business IT processes at an off-site location. Hosting demands can alter based on the market competencies, corporate conditions, traffic inflows, and software updates. Tackling all such intricacies will require a certain market capitalization, and here, cloud computing can be a lucrative option for you. Are you wondering about the benefits of having cloud computing at your organization? Let’s find out. A major chunk of your website budgetgoes towards hardware and software upgrades. You can curb these costs and save yourself a fortune by simply purchasing a cloud infrastructure. For instance, you can easily escape the costs required to create an in-house server setup. You will not have to invest any capital on routers, server hardware, cables & extensions, monitoring, and employees to monitor. In a nutshell, you will not be required to invest any particular amount in setting up a data center. Moreover, businesseson the cloud are more cost-effective because they only consume resources for which they have signed up for with their hosts. For example, if a server does not require certain cloud features to be associated with their business, they can easily remove them from the back-end of their hosting platform. Assuming that I don’t require CDN as I already have an existing one, I can shut down that service if my host offers me that option. We can do the same with cache and more. As an entrepreneur, you often ask yourself this question, what is the force that holds you back from asking questions like why aren’t you chasing down your dreams? And the answer to your query is simple. Time and Money. So, you dream a dream and you want to make it possible in today’s technological world. What is the best option that you have? Cloud infrastructure. Cloud computing can help your business, first of all, by cutting down on all unusual costs. With cloud, you will get your handson all on-demand resources that will make your website compatible with the modern-day requirements. You can also gain access to configurations that can help you complete tasks in a matter of a mere minutes. Innovation comes from brainstorming and experimentation. Not all employees will be fueled to test new horizons on a frequent basis. They are afraid to fail because the organization will incur a great loss on their account. If businesses are on the cloud, these failures will have substantially less loss. In the present time, technological giants acquire small and medium-sized businesses for easy acquisition. For an enterprise, one of the most difficult tasks is to transfer data and records from the acquired organization’s cloud infrastructure to their own. This cumbersome process can take up to several months or even a year. Sometimes, IT departments aren’t able to successfully transfer all of that information. However, with cloud computing, organizations become capable of transferring information with a simple migration process. Using different cloud migration tools, it becomes rather easy for an enterprise to find out which information is benefitting for the firm and readily transferit within their internal storage. Whether you are transferring information from an existing cloud server or a traditional server, the transition to a source cloud server is much faster and reliable. Most infrastructures deployed within the enterprise are not capable of interconnecting processes among employees. Some still depend on carrying out lengthy discussions on emails and communicating through chat platforms. However, with a cloud environment, you don’t have to worry about such things at all. Cloud offers you interconnectivity to a whole new level. You can easily share information with each other and different external members by establishing an in-house user-friendly platform. Enterprise Resource Planning (ERP) is an automation process that interconnects the entire environment within an organization. 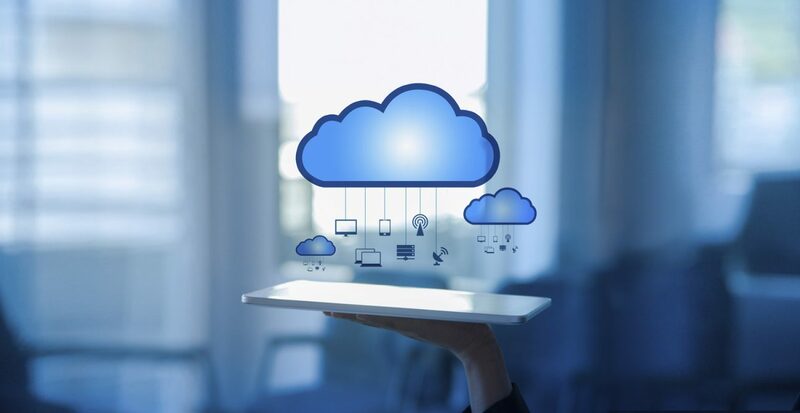 Today, there are several enterprise level applications backed with the cloud that can offer you easy connectivity. Plus, you get higher resilience. For instance, if you are working on a doc in Google, you can easily add comments to it or make relevant edits in someone else’s work provided that you have the access to do it. With an in-house server, if your server goes down, your IT experts will go through an age long process to get the servers up and running. As far as minor problems are concerned, they are manageable and can be readily fixed. But, in case if there is a major hassle, troubleshooting can take a handsome amount of time and can make you suffer business loss. With the cloud, you may not have to face such an issue. When your server is on an external host, they constantly monitor your server. In case, a problem arises such as your hosted website experiences a gradual traffic spike, a good hosting provider will prompt you if you have the best dedicated servers running. In case, if you are working with a managed cloud provider, they will automatically up-scale your server size. The aim is to provide you with a seamless experience and a good hosting provider service can readily help you to achieve that and so much more. So these are some of the adaptive reasons why you as an entrepreneur should shift your business to cloud computing. What do you think?